When I created The Bilingual Zoo forum in 2014, as a free worldwide community where parents could come together to lend support to one another, I wanted one section of the site to offer this opportunity for parents to write about their experience and interact with others about it. That section became the forum board titled Track Your Progress. Stating our objectives to others can help strengthen our commitment and efforts toward realizing those goals. Feedback from others can help us overcome difficulties, gain promising suggestions, and maintain our motivation. And, as I’ve noted, readers of these real-life stories can come away with helpful ideas and encouragement for their own efforts. I hope you find their stories as insightful and inspiring as I do. And I thank them all for sharing their lives with us so generously. Up for this writing challenge? Get started today with Challenge #7: Write About Your Bilingual Journey at The Bilingual Zoo. How about you? 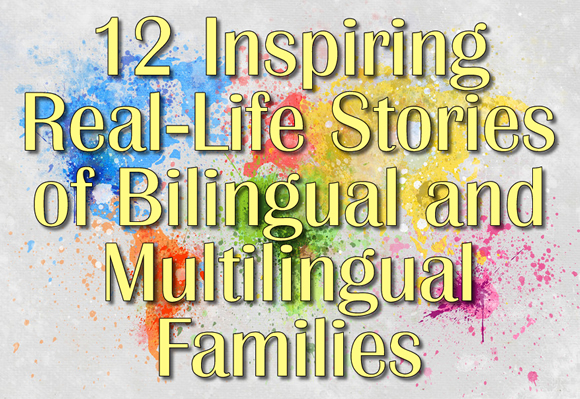 Are you writing about your bilingual journey in some form? If not, why not begin now? Thanks for this article, Adam! Track Your Progress is one of my favorite boards because of all the great ideas I get from other people’s threads…and through all the feedback on my own. This is one of the challenges you posted that I underestimated. I thought it wasn’t for me, but it’s true that it helps with keeping bilingualism always on your mind, thinking of how you can improve things and getting new ideas from others. You may even help others just by sharing what you’re doing and whether or not it’s working. It’s also nice to go back after a while and see what your kids were doing at a certain age. Raquel, this board is a favorite of mine, too, and one of the main reasons is that these threads (including yours!) enable us to see, quite clearly, how real families are making real progress over time by overcoming their everyday challenges through mindful and proactive efforts. In this way, I think these written records of the experience, by parents right in the trenches today, can be deeply empowering for both the writer and the reader. Previous post: My Bilingual Daughter Is 13. My Bilingual Son is 10. So Why Is Their Level in the Minority Language Basically the Same?